Thanks to the Heidelberger Druckmaschinen AG customers in the mymuesli store in Heidelberg can print their cereal cans individually. Individualisation is constantly gaining ground in the printing and packaging industry. Companies such as mymuesli GmbH from Passau, Germany, know this full well. Founded by three students as an online shop for customizable cereal varieties, the start-up meanwhile sells its products also in stationery stores. In the mymuesli flagship store in Heidelberg its customers can print individualized messages and images onto their cereal cans right on the spot. Digital printing makes this possible. After all, this printing process offers many benefits for the customization of goods. Individualised and personalised package printing is among drupa’s highlight themes. So, it is no surprise that we support the information exchange and knowledge transfer in this sector intensively – be it with the Digitaldruck-Kongress or with the upcoming Tage der Medienproduktion, PRINT digital! CONVENTION and the Düsseldorfer Print Cocktail. This is why we are more than happy that our drupa exhibitors are developing further in this field. It is great to see that an global player like the Heidelberger Druckmaschinen AG introduced an own product category for its digital machines called Fire at drupa 2016. We have come full circle at this point. In its flaghip store mymuesli installed a Heidelberg Omnifire 250 for providing its customers with their individualised cereal can. Have we already whet your appetite? Then check out our little surprise at the end of this article. But first, let us take a look at the advantages and other application fields digital printing opens up. Thereby, we are supported by Andreas Freund, System Administrator at mymuesli. drupa: In your mymuesli flagship store in Heidelberg your customers are able to print individualised messages and images onto their cereal cans with a Heidelberg Omnifire. Why did you decide to make them customizable with digital printing techniques? How did the cooperation between mymuesli and Heidelberg start? Andreas Freund: A mutual friend initiated our cooperation: I am talking about zipcon consulting(LINK: http://www.zipcon.de/en)’s Bernd Zipper, who is well-known in the printing industry. He has helped bringing together the established press manufacturer from Heidelberg and the popular start-up from Passau. As a multichannel player mymuesli has to realize individualisation in all channels at every point of sale in order to offer this feature to its customers. Thanks to the Omnifire 250 our customers are able to choose a design, enter a personalized message and see their own cereal can printed live on-site. In this way they can participate in the individualisation process. What does this digital system has to offer to make your cereal cans printable flexibly and efficiently? The digital printing system must be able to run at batch size 1 creating unique cereal cans. 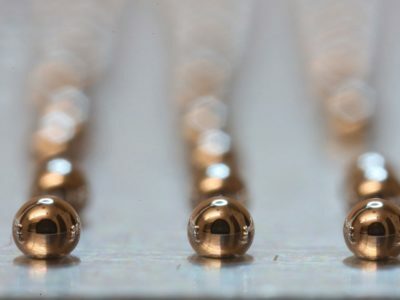 Additionally, the data connection, machine handling and its maintenance have to work accurate. In the end it is necessary that the machine supplies high-quality printing results at a sufficient speed. A special cereal can has been developed in order to ensure optimal printing results. What are the main properties of this packaging? What does the 4D printing technology require regarding ink, material or size? Heidelberg’s 4D printing technology does not set any requirements when it comes to material or size. The reason why we developed our special cereal can was to give our customers enough space to realize their personalised designs. Basically, it allows printing onto any material if the substrate has been qualified beforehand. Max Wittrock, Co-Founder of mymuesli, said: “This is an ideal way of providing individualisation in real-time matching our philosophy perfectly. It has the potential of enhancing our business model.“ Did this expectation come true? How did this method enhance your business model so far? With giving our customers the opportunity to individualise their cereal cans right on the spot, we create unique shopping experiences in our stationery stores. Now, their favourite cereal not only fits their idea of a delicious granola mix, but also its packaging. Do you plan to install Heidelberg Omnifire models or other digital printing machines in more stores? Is it possible that you use them in your online business? We have to consider carefully whether we install an Omnifire 250 in other mymuesli stores, because it requires structural changes such as power installations or compressed air connection. These adjustments cannot be realised in all of our stores. Furthermore, this machine does not fit in all of them due to its size. When it comes to our online business we have to check if the machine’s printing speed is sufficient. 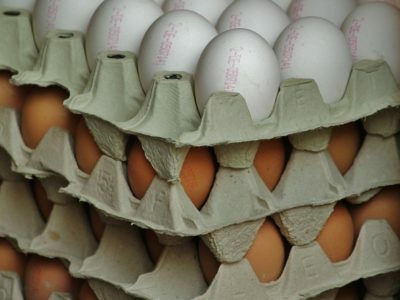 Your business clients have to purchase certain minimum quantities if they order individualised products. Do you plan to modify this line to offer small batches in the long run? Of course, we are going to develop our B2B sector and are already thinking of batch size 1. It is crucial to us that every single customer has the opportunity to completely individualise our products. Now, it is time to thank Mr Freund for this exciting interview. He allowed us to shed light on the subject of digital printing from a manufacturer and a user point of view. By the way: We were really curious to try the mymuesli service and ordered our own drupa cereals. 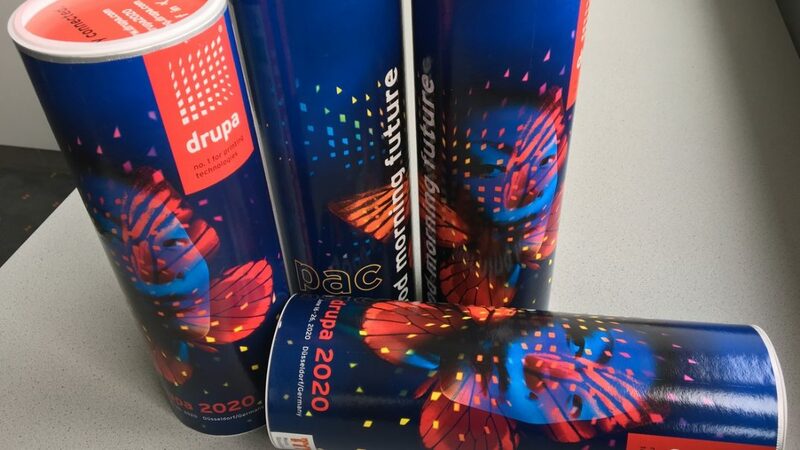 With their drupa red raspberries, strawberries and cranberries it provides an energy boost for drupa 2020. Of course, this is something our exhibitors need, too. As it happens, Messe Düsseldorf GmbH stages interpack on its fairgrounds from May 4 to 10, 2017. Many of our drupa exhibitors from our highlight theme packaging production do not want to miss out on the world-leading event for food, beverages, confectionery, bakery, pharmaceutics, cosmetics, non-food, and industrial goods. The perfect time to start the drupa 2020 kick off and the exhibitor online registration process. When talking to them about the upcoming drupa we will distributing several cans with drupa cereals as a little surprise serving as an energy booster for interpack and as a reminder for the exhibitor online registration process. Of course, we want to give other drupa addicts the chance to participate in this campaign. Stay tuned for more information.